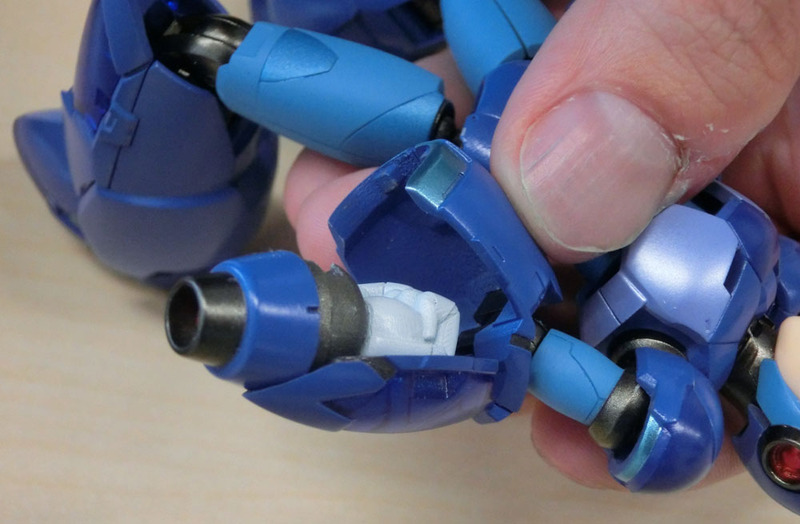 The Rockman Unity Blog has updated with a great new look at the upcoming Giga Armor Series Mega Man X from Tamashii Nations. The new photos give us a new look at the fully combined form of X. 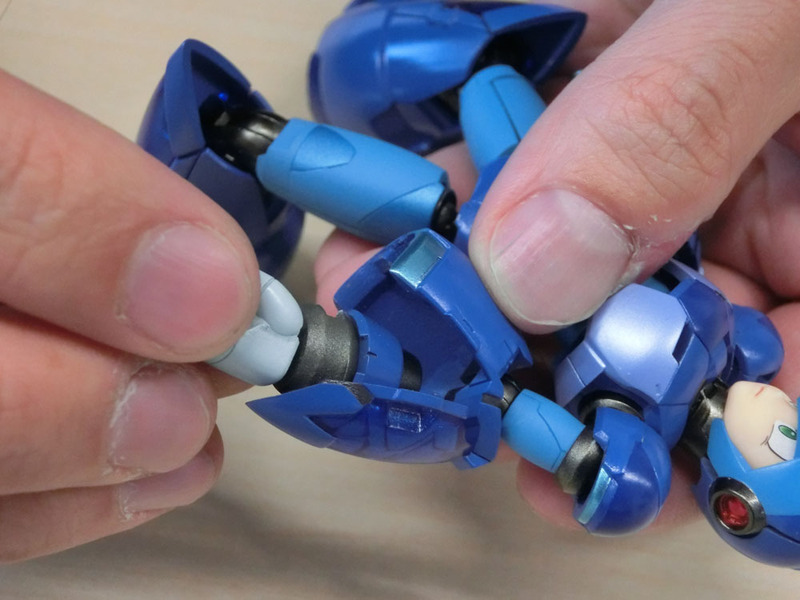 They show off how the hidden Mega Buster works, revealing that both arms include the transforming gimmick. 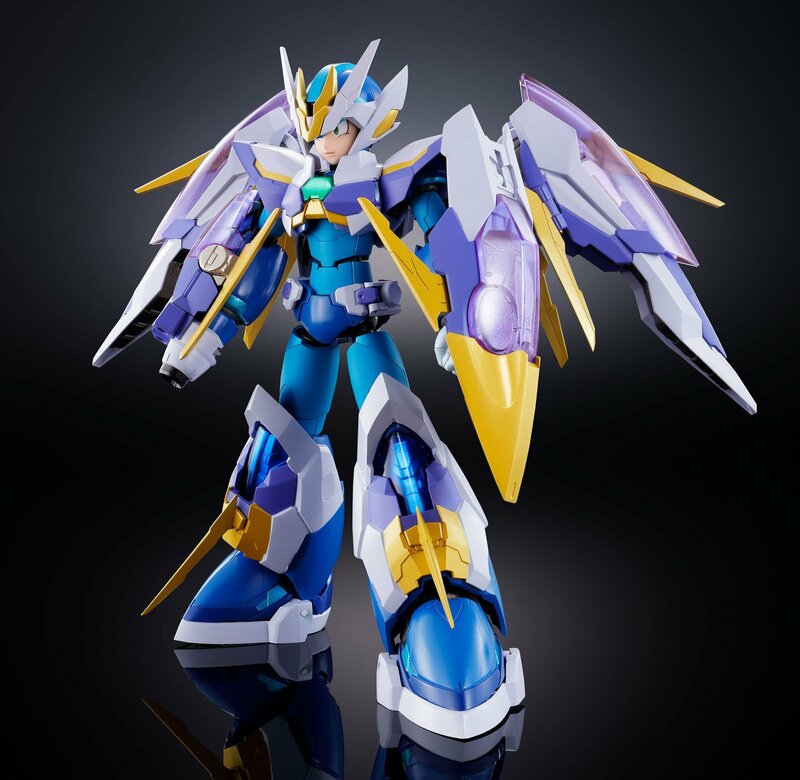 It was also revealed that the front of the armor is modeled after Beat, the robotic bird from the Mega Man series. Twenty years after the debut of the Mega Armor Rockman action figure, the legendary video game hero returns in a totally updated form. 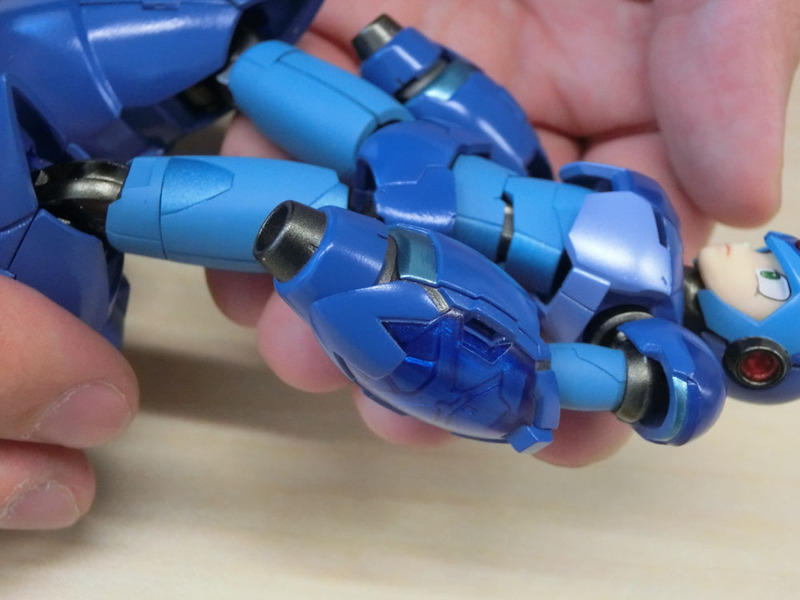 The armor, designed by Kanetake Ebikawa, can be reassembled in a vehicle mode. 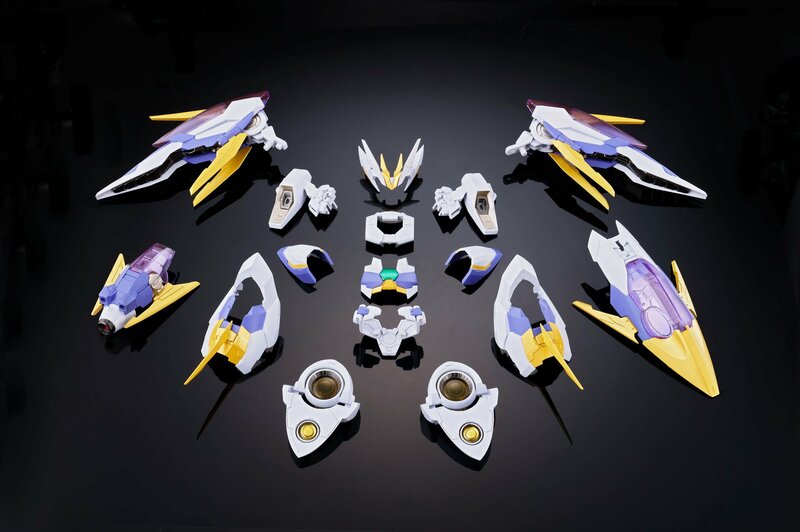 The 140cm diecast and PVC set includes the X figure, Rush, armor parts, and stand. 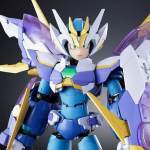 Previously seen on display at the Tamashii Nations World Tour in New York, Tamashii's "Giga Armor Series" is kicking off this October with Mega Man X. 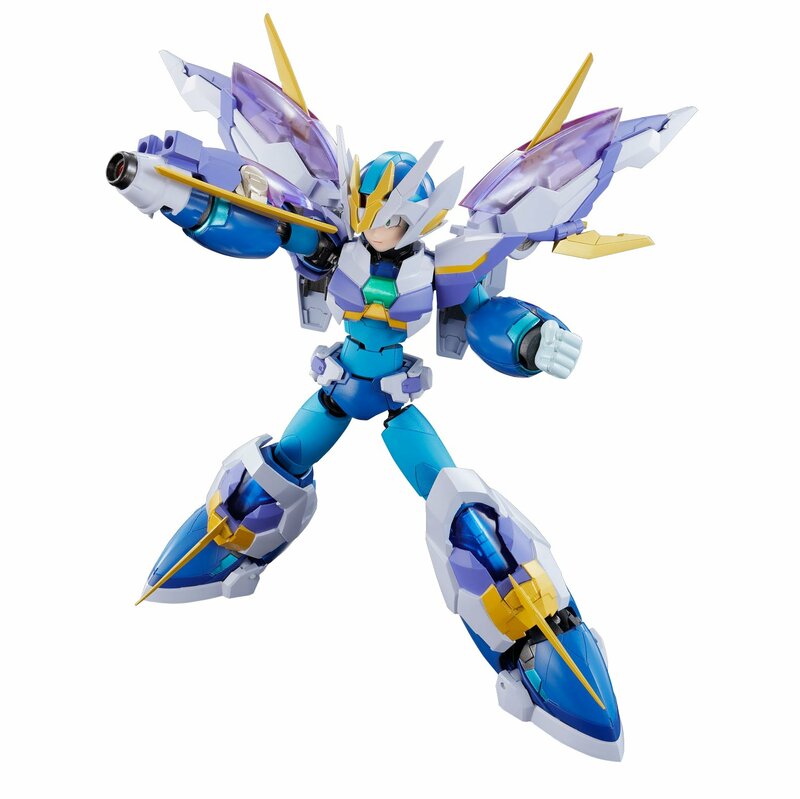 A picture showcasing this variant of Mega Man X has been published in the new Tamashii pick up notice for October. As of now scale, price, accessories and possible gimmicks are unknown. The picture features the Chogokin logo however, so this figure is guaranteed to feature diecast parts. And since the figure will be up for pre-order soon and the Tamashii World Tour makes its next stop in Osaka this weekend we will find out more about it very soon. So, for now, this thread is more of a place-holder and it's up to Joe and the admins if they want to frontpage this or wait until we have some more actual info. Nice and thanks for the heads up. Looked great from pics at the Tamashii World Tour and looks even better there! I still have a bunch of figures from the original line. I think to justify a purchase, they need start making figures of the Mavericks. Do something a line of X toys hasn't already. That would be a definite buy. The only X figures I have are the TruForce, so this series is looking real tempting. But Mavericks would be an instant buy, and they'd break the bank in a hurry. Well, this might answer that question: This figure includes a Ride Chaser vehicle. And looking at said vehicle and the name of the subline, I wouldn't be surprised if the bike comes apart and forms armor for X.
I'll keep an open mind with this line. I'm still hoping the designs will be closer to the Megaman X4-X7 era art style and I'm a bit bothered by yet another redesign (wasn't personally a fan of the TruForce Megaman X) but I'm confident this line will result in many amazing releases. Definitely looks like it becomes armor. The original post from Rockman Unity seems to strongly hint at that. 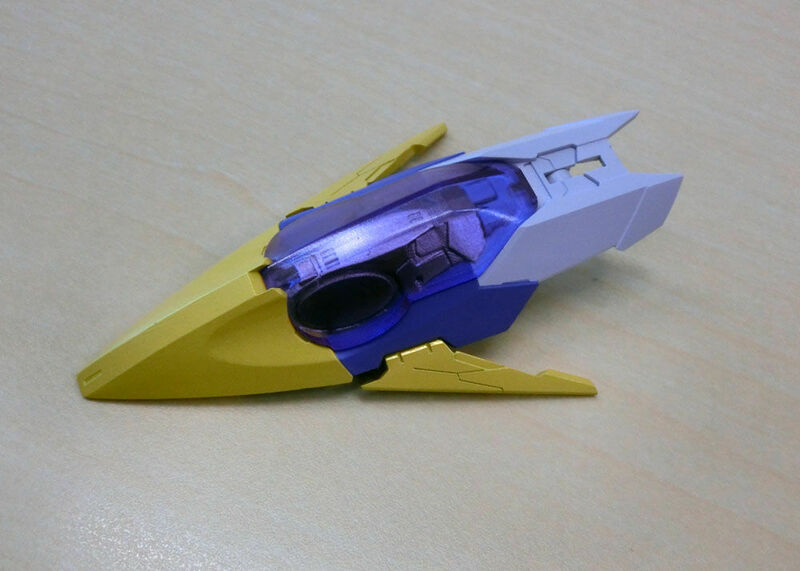 Its seems less clear, though, if the Ride Chaser is a separate release or included with X. Looks like this figure will be 6"
Beside what's-his-face, it looks like it will be in scale with the D-Arts line. That Ride Chaser though! Think I'll be getting this now. I'm making a miscellaneous Mega Man diorama to go with my other displays. Where can I buy mega man x and vile for less than $100? 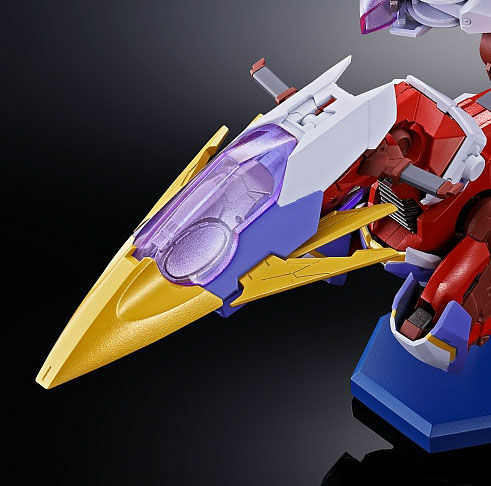 The item listing on the Tamashii website is up, we don't get many new pictures aside from the swappable Mega Buster weapon, however, the price is set at 12,960 Yen and the pictures show both X and the Ride Chaser, which makes me believe it will be included. No pictures of any combined mode, but they'll probably save that for the Tamashii World Tour stop tomorrow. The listing also says that additional images will be uploaded the day pre-orders go live, May 29th. For the size and what's included, I'm actually surprised the price isn't higher. This line is going to be awesome, however I wish the figure and the vechile sold separately, it's really expensive together (60$ for 5.50" scale figure with diecast parts is very good price). I hope there will individual figures and armors sold in the future. ...Hmmm...I was under the impression this was a revival of the old model kit line. 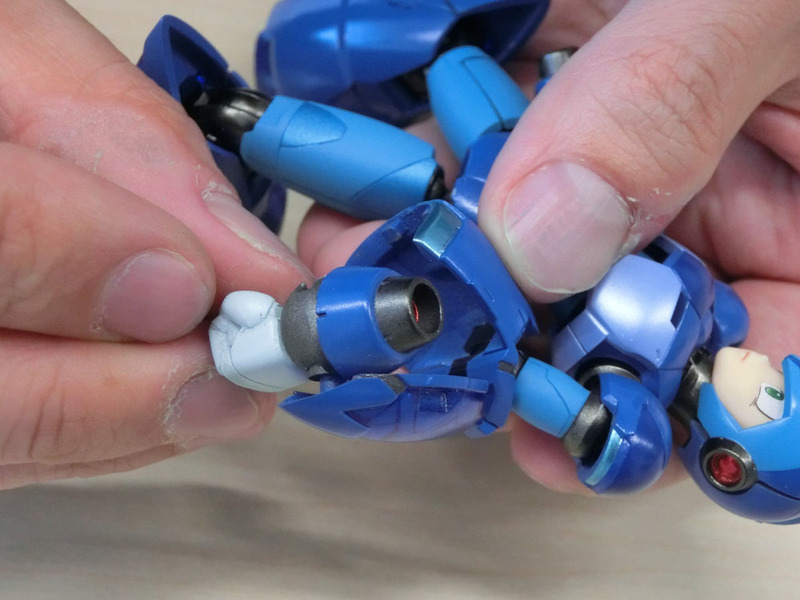 Not only that, but according to the product info, this will be 15mm taller than the D-Arts X. A lot of my hype is gone now. Kotobukiya is the one who sells now Mega Man model kits and the figure is 14cm height, it's not a lot bigger. I think timone is referring to the old Bandai line of model kit-style MMX figures, the Mega Armor series, in regards to this line being a 'revival' of that; as for the size, I think that's talking about the D-Arts figures that Bandai previously produced, not the Kotobukiya line. I honestly think the bike turns into both armor for him and Rush (sans MM's armor parts). 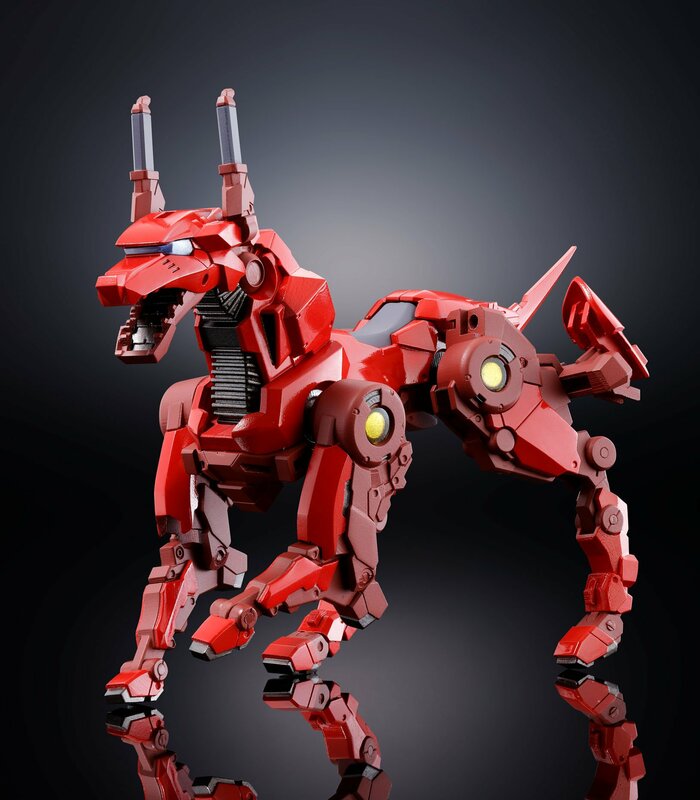 Since the interior of the bike is red and has somewhat canine looking limbs tucked away, my money is on Rush + Giga Armor. That... doesn't make any sense. Why would an X-series vehicle turn into parts for a Classic-series character? This is all from the Mega Man X era, which is over 100 years after the Classic Mega Man games and shares nearly none of the same cast. It's called an homage. Plus, this isn't a direct 1:1 likeness of X. It's just based on X, so why not throw in a little creativity and make that bike into Rush? I know that, he hoped there will be revival for it, hence I mentioned that Kotobukiya is now the one who makes model kits for Mega Man which means it is unlikely to happen. 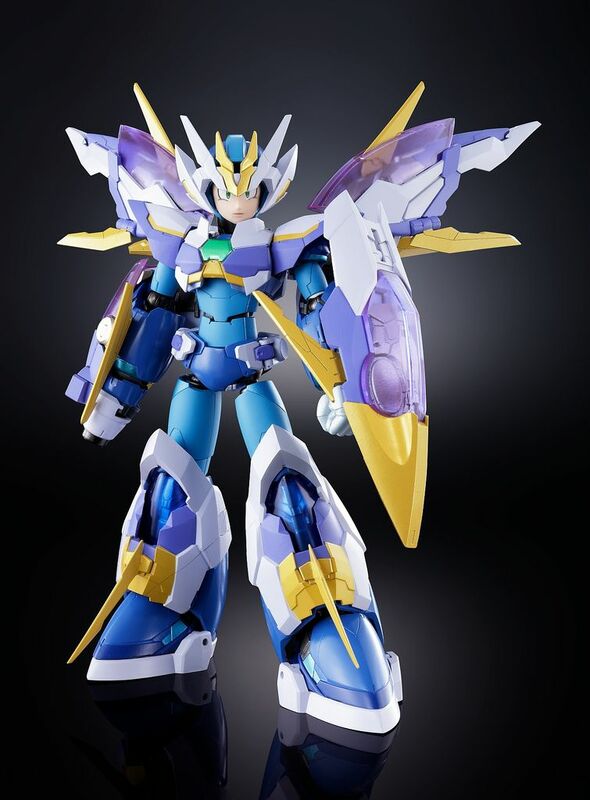 As for the figure size, I talk about the figure size which timone talked, Mega Man X GIGA Armor of this thread. Looks really neat! Would definitely get if I had the spare cash. This is quite odd/surprising (considering this was suggested earlier). Maybe the height on the product page factors in the armor? Hmmm...if this turns out to be around the same size as the D-Arts X, I'm back in. Huh, I thought to myself if it might be more than just armor since there were visible jointed limbs in the bike. So now X also has a dog companion? That's kinda neat. I like the armored X too, looks cool!